World travel can be an expansive and exciting experience. Visiting far off places carries the potential to open up your heart, mind, and point of view. Yet, far-flung travels are indeed better enjoyed by the healthy and robust. Being sick at home isn’t much fun; being sick in a foreign land is even worse. Fortunately, there are many herbal allies that can help support good health so that even the most adventurous traveler can stay resilient while far from home. 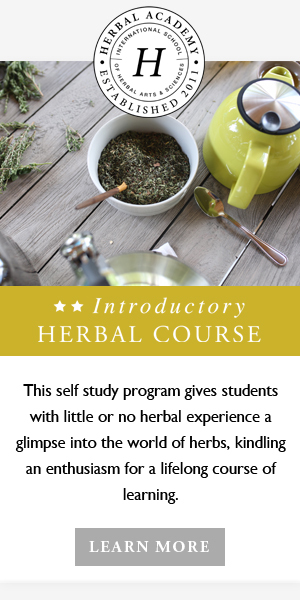 While these herbs are useful for domestic trips, or even addressing health imbalances at home, if your next itinerary has you changing hemispheres, crossing multiple time zones, and speaking foreign languages, this herbal travel essentials guide is especially for you. I take pride in being a light packer, so minimalism is the name of the game when it comes to my on-the-go herbal travel essentials kit. I like to distill my herbal packing down to the bare essentials, and versatility is always a plus. If an herb or spice has multiple applications (which they usually do), all the better! When thinking about your herbal travel essentials, it is helpful to consider your weak zones. Are you most likely to experience digestive troubles, sleep disturbances, respiratory issues, or nervous system turbulence? You may normally enjoy balanced health, but when exposed to a new environment, one’s vulnerabilities have a way of emerging. Knowing your weak zones will help you prioritize your personal herbal travel essentials kit. Let’s take a look at some of the top herbs for making sure your bases are covered when it comes to adventurous travel. I can’t say enough about triphala as both an herbal travel essential and an everyday fundamental herbal formula. Made up of three fruits, amalaki (Emblica officinalis), bibhitaki (Terminalia bellerica), and haritaki (Terminalia chebula), triphala is a multi-faceted botanical support. Triphala is available as a loose powder and can also be purchased as tablets and capsules. It functions as a near panacea for digestive complaints. Taken in larger doses of 3-10 grams per day, triphala is a laxative, whereas very small amounts (less than 3 grams) can help bind loose stools. Triphala is also useful as a carminative, meaning that it soothes gas and bloating and aids digestion and assimilation (Frawley, 2000). Because traveling has a way of throwing the body’s rhythms off track, a little triphala taken with warm water in the evening is very helpful for keeping digestion and bowel movements regular during travel. Furthermore, triphala has been shown to be an effective prebiotic, meaning that it encourages the proliferation of beneficial gut bacteria. In particular, the phytochemical compounds in triphala, quercetin and gallic acid, have been shown to promote the growth of Bifidobacteria and Lactobacillus while inhibiting the growth of E. coli and other harmful gut bacteria (Peterson, Denniston, & Chopra, 2017). Due to its effectiveness and versatility, triphala is on the top of my herbal travel essentials list for the adventurous traveler. Ginger (Zingiber officinale) is another versatile digestive support that doubles as a tasty spice and digestive stimulant. Warming in nature, ginger enhances circulation and assists in timely peristalsis. It also eases nausea and suppresses the vomiting center in the brain. So, for anyone who suffers from motion sickness, ginger is key (Enders, 2015). A little dried, powdered ginger root can be easily packed and stirred into hot water as a tea. Crystallized ginger candies are another convenient and tasty way to pack ginger when on the go making it an easy addition to your herbal travel essentials kit for the adventurous traveler. Hingwashtak churna, like triphala, is a classical ayurvedic formula that helps ease digestive imbalance. Hingwashtak churna is a powdered blend that consists of black pepper (Piper nigrum), pippali (Piper longum), ginger (Zingiber officinale), ajwan (Trachyapermum copticum), rock salt, cumin (Cuminum cyminum), black cumin (Nigella sativa), and hing or asafoetida (Ferula asafoetida). This formula is warming in nature and helps relieve gas. In addition, hingwasthak churna normalize peristalsis, the wave-like contraction of the walls of the gastrointestinal tract. Hingwashtak churna is often used in cases of bloating, hiccups, malabsorption, constipation, parasites, and low appetite. The hing in hingwashtak churna is primarily responsible for the anthelmintic (anti-worm and anti-parasite) properties of this formula (Dass, 2013). For those who suffer from bloating or weak digestion, a small amount (1/4-1/2 tsp) of hingwashtak churna taken in a little hot water with meals can strengthen the agni (digestive fire). Furthermore, this formula’s potential for combatting worms and parasites make it especially useful for travel in parts of the world where this is a particular risk (Dass, 2013). Another useful herb that possesses anthelmintic properties is wormwood (Artemesia absinthium). Artemisinin, a derivative of Artemesia, is used effectively in antimalarial drugs and has also been found to have antiviral and antimicrobial effects (Shi Ni Loo, Siu Kei Lam, Lu, & Yu, 2016). Of course, using a whole herb versus a drug made from its extraction are two different things with different implications. Furthermore, I am not suggesting that you forgo antimalarial medications in lieu of whole herbs if you are entering a malaria risk zone. That is a choice for you and your doctor or travel nurse to make. However, a small amount (10-30 drops) of wormwood tincture taken daily in water may help keep harmful parasites at bay, given that wormwood has broad spectrum antiparasite, antiviral, and antimicrobial actions. Also, wormwood is classified as a digestive bitter, and oral doses of wormwood and gentian taken before meals have been shown to stimulate gastric secretions, thereby, benefiting the digestive process (Mills & Bone, 2000). It’s no great secret that travel tends to throw off sleep schedules. If you are crossing time zones, this is particularly relevant. When thinking about herbal travel essentials, you may want to consider packing sleep support herbs such valerian (Valeriana officinalis), passionflower (Passiflora), and skullcap (Scutellaria) to help get your sleep schedule on track. In this case, a tincture formula may be the most compact and convenient option. However, capsules or tablets can work as well. Also, a 1- or 2-ounce tincture bottle can stay with you on the plane, providing easy access for sleep support on long flights. Read 5 Lifestyle Hacks for Sound Sleep for a few more ideas on creating and maintaining a healthy sleep schedule while abroad. Depending on where you travel to, respiratory ailments may or may not be a high risk. If you are spending time in the larger cities of China or India, for instance, where air pollution is high, protecting your air passages is a real concern. During a recent stay in Pune, India, I was sure to always have a kerchief, mask, or scarf handy to shield my mouth and nose while taking rikshas (a 2-3 wheeled cart used for transporting passengers from place to place) around town or walking alongside thick traffic. You may want to consider some of these herbal travel essentials for adventurous travel, especially if you are prone to colds, congestion, sore throats, or allergies. Salves and balms are a convenient way to pack herbs, making them a strong component of herbal travel essentials for the adventurous traveler. I initially made this simple vapor rub to give out as holiday gifts. However, I had a small tin leftover for myself post-holidays, and I found that having a little vapor rub on hand was a pleasant asset when I contracted a head cold during a recent trip to India. This botanical vapor rub is reminiscent of its commercial counterparts but is made of simple, natural ingredients and is petroleum free. Be sure to make this formula well in advance of your trip so that it is ready to go when you are! Using the double boiler method, place beeswax and almond oil together over medium-high heat until both ingredients melt together. I find that a glass measuring cup placed inside a larger saucepan full of water works well as a double boiler. Remove beeswax oil mixture from the stovetop and add the essential oils. Immediately pour mixture into small (1-2 ounce) metal tins. Let cool completely before capping the tins. Traveler’s tip: Remember to keep liquids going in your carry-on luggage to 3.4 ounces or less. A 1- or 2-ounce tin of vapor rub can travel with you on the plane hassle free. Use in cases of cough and congestion. Rub into chest area and breathe deeply. Caution: Peppermint and eucalyptus essential oils should not be used on children ages 3 and under, as these essential oils can slow respiration. With children 3-years and older, Eucalyptus radiata essential oil can be used topically up to 1% and peppermint essential oil can be used up to 0.5%. Be sure to keep all essential oil products away from the eyes. Also, those with asthma may have a negative reaction to these essential oils. If you have asthma, it is best to test out how you respond to peppermint and eucalyptus essential oils before using in larger amounts. If you find that your lungs and air passages close or tighten in response, other choices such as cedarwood and Roman chamomile may be substituted (Siegmund-Roach, 2015). For more on essential oil safety, read A Guide to Essential Oil Safety. If you are exposed to unusual amounts of pollution, it is a good idea to rinse irritants and particulate matter out of your throat and nasal passages at least a few times a week. One way to do this is through the practice of jal neti. Read 5 Daily Self Care Practices to Implement this Year for details on this process and other tips for daily self-care. When it comes to herbal travel essentials, a small neti pot and neti salt will pack easily into your luggage. I usually take my ceramic neti pot with me, being careful to wrap it in a scarf or T-shirt to give it some protective padding. Hard plastic travel neti pots are also an option. This herbal gargle was recommended to a friend by an ayurvedic doctor in India. My friend was experiencing sinus congestion and cough in response to air pollution. It is intended to clear irritants from the throat and has a moistening and antimicrobial effect as well. Stir all ingredients into 8 ounces of hot water. Allow water to cool until comfortable to touch. Gargle at the back of the throat for a few seconds. Repeat 2-3 times per week. One of the great things about this simple herbal gargle is that all its ingredients have multiple usages, so if you pack a small amount of each ingredient in loose, powdered form as a part of your herbal travel essentials, these herbs won’t take up excess space in your luggage. As discussed earlier, triphala is a wonderful digestive, and it has been shown to be effective as an antimicrobial mouthwash, significantly reducing oral streptococcus colonies (Peterson, Denniston, & Chopra, 2017). Curcumin, one of turmeric’s chief constituents, has also been proven to have significant antibacterial effects (Mohammed & Habil, 2015). Plus, turmeric doubles as a cooking spice and digestive aid. This vibrant, yellow-orange rhizome boosts digestive and metabolic power and is helpful for breaking down proteins, particularly legumes (Dass, 2013). Licorice is soothing to the throat due to its cooling, demulcent (moistening), and expectorant qualities. Also, licorice has many other uses, such as nourishing the adrenals and soothing inflammation in the gastrointestinal tract (Dass, 2013). Last but not least on the herbal travel essentials lists are nervous system balance and energy support herbs. Ayurveda teaches that travel depletes ojas, our essential life-sap. Therefore, herbs that build strength of mind and body such as ashwagandha (Withania somnifera), shatavari (Asparagus racemosus), guduchi (Tinospora cordifolia), and tulsi (Ocimum tenuiflorum) are excellent additions to your herbal travel essentials kit. It is wise to be realistic about convenience and access to necessities and amenities when you are traveling. For instance, if you are going awhile without easy access to hot, potable water, herbs in tincture form may be best as they can be taken directly under the tongue. If getting ahold of hot water is no problem, bringing a ready to make tea could work well for you. Capsules and tablets are also convenient. For more a few more thoughts on stress support herbs, read 3 Nervine Herbs to Help Soothe Stress. Having mentioned minimalist packing, it is worth acknowledging that this list of herbal travel essentials may be a bit more than bare bones. I am not suggesting that you pack every herb and formula mentioned. In this article, I have provided a framework as well as suggestions based on both research and real-life experience. I hope these ideas will serve as a jumping point and a basis for inspiration. Whether you prefer to pack heavy or pack light, ultimately, it is up to you to decide your own herbal travel essentials. Furthermore, it’s always important to remember that your health is in your hands. These herbal allies are not intended to replace necessary medical precautions, such as life-saving vaccinations or medical treatment. Nonetheless, our herb friends can help support good health and well-being during travel so that you are freer to be a radiant reflection of the adventurous traveler within. Dass, V. (2013). Ayurvedic herbology east and west. Twin Lakes, WI: Lotus Press. Enders, G. (2015). GUT: The inside story of our body’s most underrated organ. Berkeley, CA: Greystone Books. Mills, S., & Bone, K. (2000). Principles and practice of phytotherapy. New York, NY: Churchill Livingstone. Mountain Rose Herbs. (2017). A little book of our favorite recipes. Retrieved from Mountain Rose Herbs.